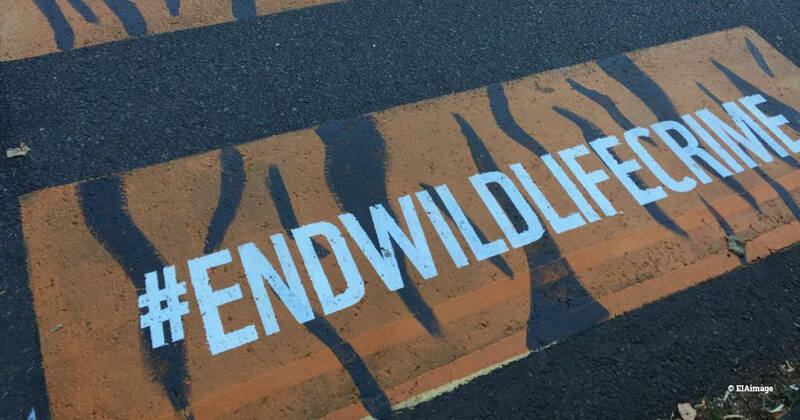 The fourth Conference on Illegal Wildlife Trade (IWT) in London this week has seen high-level participation from governments, the private sector and NGOs to focus international attention on previous commitments to tackle IWT as a serious organised crime. In the run-up to the Conference, our campaigners noted significant developments such as the creation of a new financial task force and a coalition of technology giants committed to combatting illegal wildlife trade online. 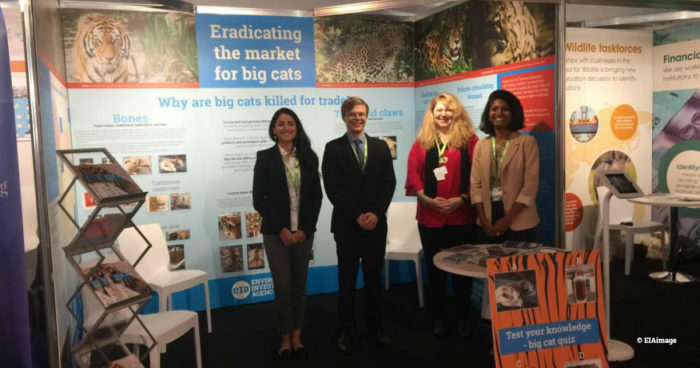 We were delighted to be invited by the UK Government to host an exhibit on big cats at the Conference, which was visited by HRH Prince William, The Duke of Cambridge. The exhibit successfully raised the profile of the threat posed by trade to big cats globally – from jaguars in Latin America and lions in Africa to tigers in Asia. 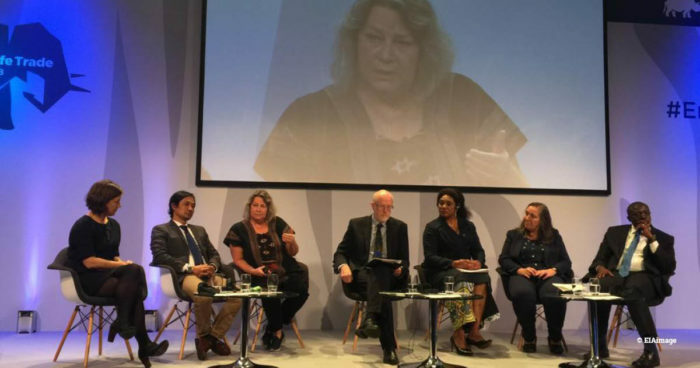 Today, the last day of the Conference, EIA Forests Campaigns Leader Faith Doherty spoke at a high-level panel on the synergies in combatting wildlife and forest crime. The UK Government earlier published a Declaration of actions and commitments arising from the event. We welcome the Declaration’s affirmation of existing commitments under the previous IWT Declarations and existing international agreements and, in particular, applaud the recognition of convergence of IWT with other serious forms of crime. But we were disappointed by the absence of a stronger call for the closure of legal domestic markets for parts and products of elephants, big cats, pangolins and other species threatened by trade. While eradicating the market for illegal wildlife has been a major theme for the Conference, the Government of China continues to issue permits for legal trade in leopard bone and pangolin scales. The clear message of the Conference is that the ‘time for action is now’ – this must be more than just a soundbite. Debbie Banks, our Tiger and Wildlife Crime Campaign Leader, said: “The prominence in this Declaration given to addressing corruption is especially welcome. The conference has heard first-hand accounts of how corruption is impeding the practical implementation of laws, policies and practices to combat wildlife and forest crime. “The real test now will be how much further forward we are with that in the very near future because the clock is ticking very loudly for many threatened species.